The McGann Library :: View topic - Happy Birthday, Estelle! Posted: Thu May 21, 2009 10:46 am Post subject: Happy Birthday, Estelle! Hope your day is truly special and thanks again for all your lovely work here to keep the Library such a great place! I hope you are having a lovely day!! Hi Cat, Gaby, Teri, Mikoto, cat9, and Michele! Thank you all for the great Happy Birthday wishes. 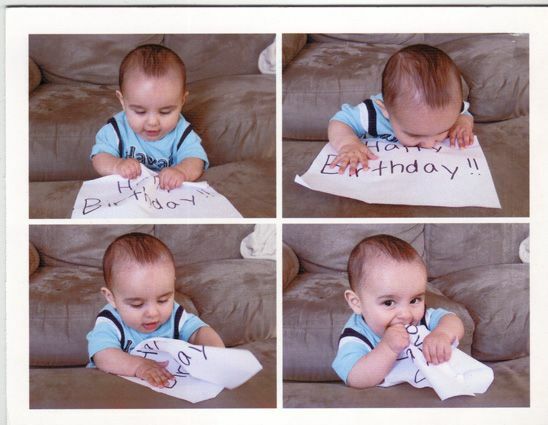 I love this birthday card my daughter Silvia sent me--it shows her little schmoo Isaac chowing down on Granny's birthday banner.